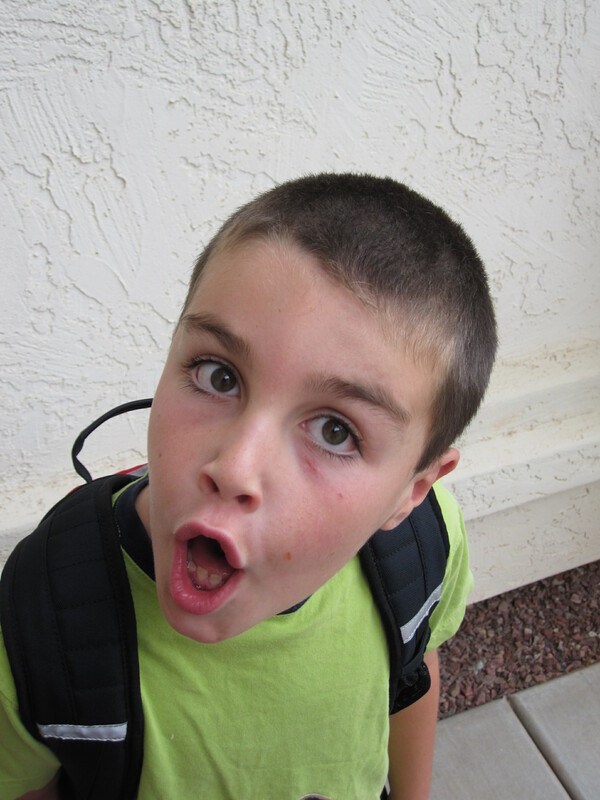 Why is it that kids can drive you so crazy with their behavior? During a routine grocery shopping trip, my 7-year-old son became so irritating and annoying, I was ready to strangle him. Several hours later I felt like an idiot when I discovered that his bad behavior was caused by hunger. How could I have missed something so obvious? Why is it that a child with ample vocabulary could not explain his extreme level of hunger, yet could easily act so bratty? Instead of words, his body seems to become spasmodic as we walked up and down the aisles. He was banging the shopping cart into the shelves. I took away his privilege of pushing the shopping cart and he stumbled down the aisle losing his flip-flop. When he finally got his flip-flop back on he realized the existence of the little plastic ‘sale’ signs sticking out in his path and proceeded to slap each one with his hand as he sauntered down the aisle. I tried to control his behavior, but instead of it improving, it grew worse, like dandelions after a spring rain. Inside I felt like unleashing both verbal and physical lashings, but had to restrain myself in a public place with security cameras. Eventually I completed the shopping trip wondering why I thought taking a child into the grocery store was a good idea. I arrived home and opened the trunk of the car and my son attempted to shut the trunk on me as I grabbed several of the grocery bags to lug inside. Not only did he refuse to help, he seemed irritated that I would ask him to complete such a mundane and boring task. Realizing I could stand neither his behavior nor his presence, I sent him to his room. Within 2 minutes he emerged from his room and asked ,”When are you going to give me something to eat?” I can only assume that he thought I knew he was hungry, when in fact I had no idea. A granola bar from the snack drawer and all was well. The brat was transformed. If kids could be as effective with their words in getting our attention as with their bad behavior, then parenting would be a lot easier. Then again, no one said that parenting would be easy or that our kids would actually speak to us once we taught them to talk. < Previous No plot, No problem…Really? one of my best friends gets super crabby when she gets hungry….i used to tease her that she should always have snacks on hand so that she could eat anytime she felt the bad mood coming on!